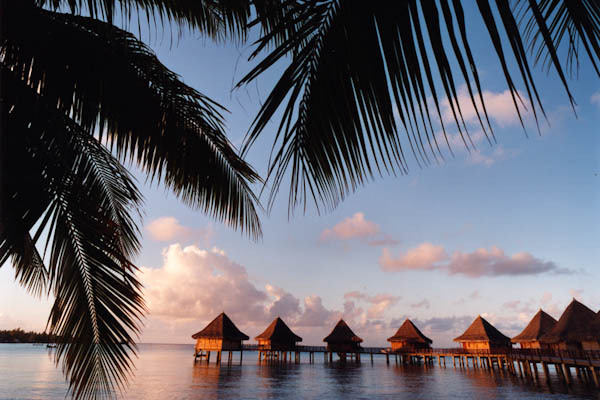 Bora Bora, with its dreamlike setting, is unsurprisingly, a honeymoon couple’s choice. The ring of sand edged islet encircling the glistening turquoise lagoon and rainforest-covered peaks- Bora Bora is the perfect place to spend some cozy time with our loved ones. But there is a lot more to do than just clinking glasses with your loved one in a five-star hotel. 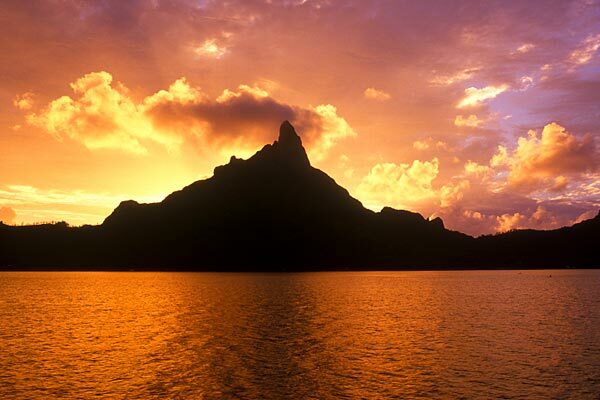 The primary objective of visiting Bora Bora is serenity, and the island offers it to you in innumerable ways. You can cool off in a lagoon surrounding Bora Bora, repose on the deck of your bungalow or bike around the island at a smooth pace. If you are looking for an adrenaline rush, then you can go diving, snorkeling, and even bungee jumping. If you have some energy left, then we suggest you to check out the underwater island. And to get a taste of local culture, head to Vaitape. Mount Otemanu is another must see place here. This is just the synopsis. For a more in-depth review, you must read our post. 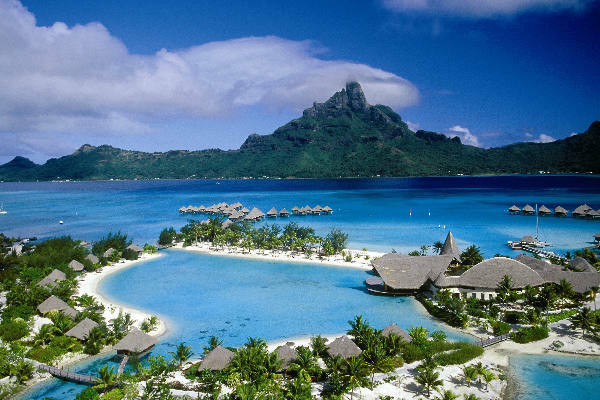 The Matira Beach is one of the most popular Bora Bora attractions. It is the only beach that allows public access. Thus, it is extremely popular with the visitors. The water is crystal clear, and the sand is downy and soft. The beach also has plenty of shops, eateries and resorts, making Matira Beach one of the most convenient places to spend the day. Snorkeling is one of the best activities to indulge in Matira Beach. Make sure you walk to the small café to get a casse-croute. The Matira Beach is located just four miles from the south of Vaitape. You can easily get here by taxi or bicycle. You are also free to drive here. The Mount Otemanu is one of the two extinct volcanoes located at the center of the island. You will be floored seeing the beauty of this place. The volcanic remnant, rising 2,400 feet above the lagoon, makes a dramatic photo op. It is particularly remarkable to see the rain clouds at the mountain peak and the clear blue skies surrounding it. You can also go on an adrenaline-pumping adventure here. You can enjoy Mount Otemanu in a plethora ways. Hire a 4×4 Tour to get a guided hiking trip, a helicopter tour, and even casual snapshots on the beach. A three-hour tour of Mount Otemanu, including the rest of the island will cost you $80 USD. The Coral Gardens are a feast for the eyes. This coral reef is set on a small islet east of the main island. 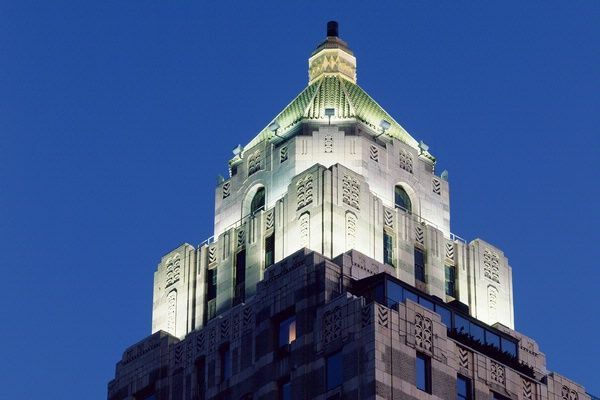 It is situated just across from the Sofitel Marara. The reef is not far below the water. So you just need some snorkeling goggles to watch the colorful fishes. There are plenty of ways to reach the Coral Islands. There is also a handful of tour operators near the Bora Bora Lagoonarium from where you can get assistance. It is just a five minute ride from there. Or you can also swim there. It won’t take more than 20 minutes. Note- bring our aqua shoes or socks, as beach sand is quite hard. Vaitape is Bora Bora’s main town. 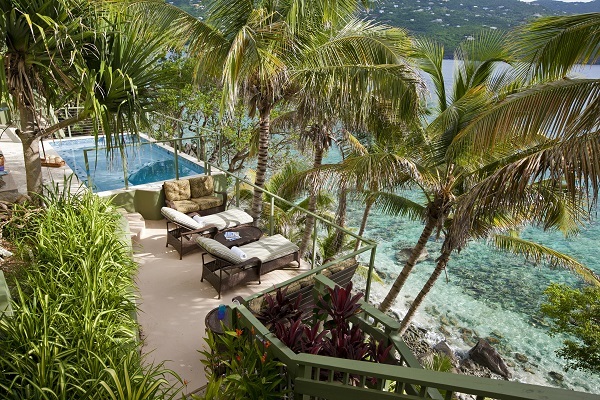 It is located on the west coast of the island and is truly worth the few hours of your time. 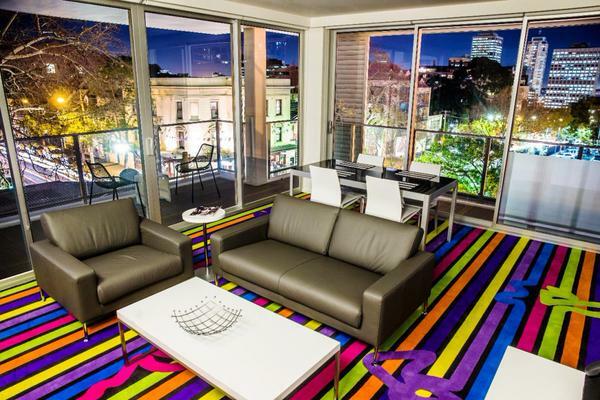 You will find some boutique and eateries in its central corridor. The place also boasts of gas stations, tourist office, and even a medical center among the other establishments. The Boo Mar’s restaurant is a safe place to let loose and relax. The art galleries here are a must visit place. If you are looking to purchase some high-class souvenir, then you can visit the Tahiti Pearl Company to purchase some beautiful, black pearl jewelry. And if you are looking for a romantic place to spend time with your beloved, then book a table at the Villa Mahana. You can get to Vaitape by bicycle, taxi or Le Truck Bus. The Bora Bora Lagoonarium is an aquarium located on a small island. The unique feature of this aquarium is that it is not man-made. The aquarium is a portion of the actual lagoon. One of the coolest things you can do here is snorkeling on the premises, under the supervision of wildlife guides of course. Beneath the lagoon, you will find turtles, rays, sharks and different kinds of ocean fishes. The guides will teach you how to feed and touch the marine animals. You can also enjoy some other activities here like of barbecue picnic or a canoe tour of the island. The perks depend entirely on what tour you choose. A full day tour of Bora Bora Lagoonarium will cost you 106$ USD. The Pofai Bay is another must visit place here. It is located just across the road from Galerie d’Art. There are plenty of military items that were left behind after the World War 2. You will also see a gun and two massive anchors that were captured from the Tereia Point. 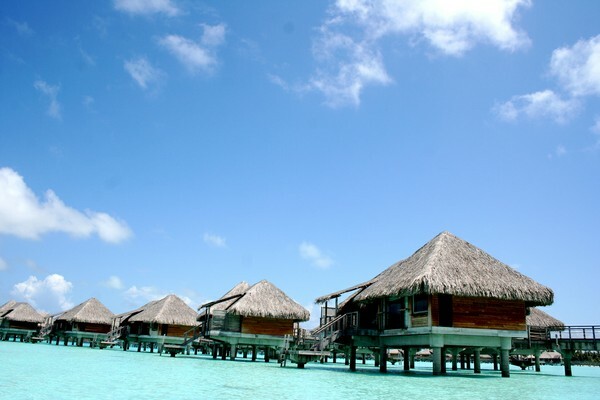 Marae Fare Opu is one of the most valued attractions of Bora Bora. It has petroglyphs of the turtles carved into ahu’s massive coral stone. As the legend says, the ancient islanders believed that turtles were the favorite food of Gods. Hence, they offered them on the maraes. You will see this interesting marae on the lagoon side of the side, just near the small boat harbor. The boat harbor was the American submarine base during the World War 2. If you’re looking for peace, calmness, and serenity, then you can head to the Faauni Bay Village. In the Bay, you will find a unique side road that head away from the coast. 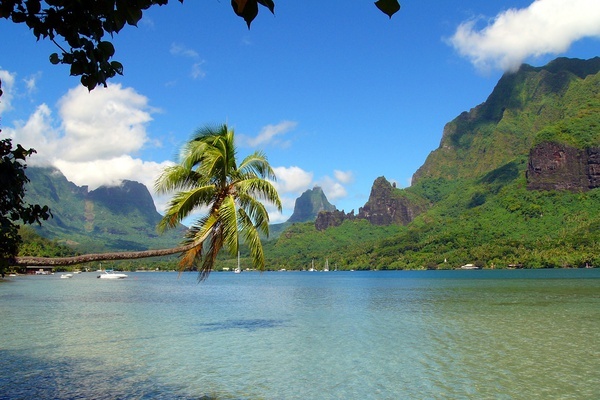 Travel down the road to witness the thick tropical vegetation of inland Bora Bora. There is a lovely church located just at the head of the bay. A visit to this church is a must here. Just one the northern side of the Varou Bay, you will find the ahu of Marae Aehautai on the shoreline. There are three maraes in this area, the Fitiiu Point being the most intact. The road does not wind around the Fitiiu Point, so it is a great place to hike around. You will also get an incredible view of Mount Otemanu from the Fitiiu Point. If you look carefully far up on the Otemanu side, you will spot Te Ana Opea Cave. If you look across the lagoon to the northwest of the Matira Point, you will see Motu Piti uu, Uta. 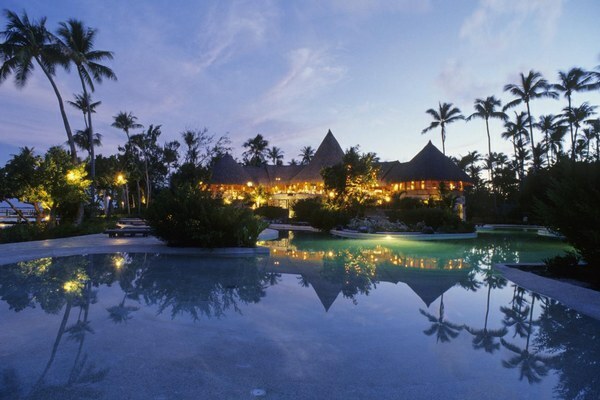 Motu Piti uu Uta is a part of the Private Island resort and the Sofitel Bora Bora Marara Beach. Just below the Sofitel Motu is the famous aquarium, one of the best snorkeling points of Bora Bora. 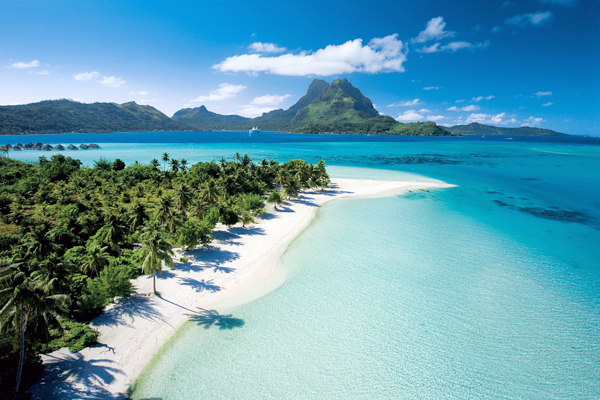 As you head north of the Circle Island, you will find the Sofitel Bora Bora Marara Beach. Just stop for a few moments to enjoy the beautiful panorama. Besides all these ten attractions, what makes the island famous is the iconic over-water bungalows that reach out as tentacles into the lagoon. 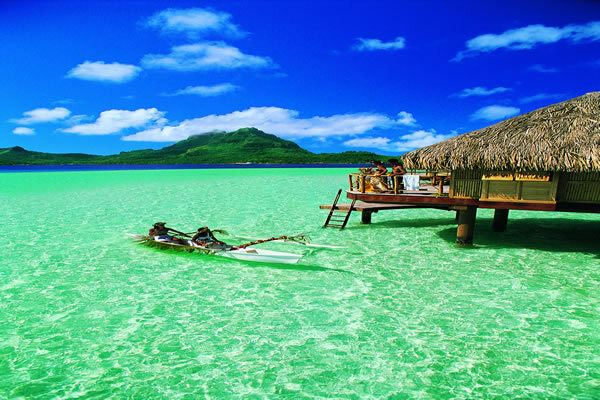 And Bora Bora is much more accessible than you can think. There are plenty of five-star resorts, affordable mid-range hotels, and even quaint pensions. So when are you heading to Bora Bora?